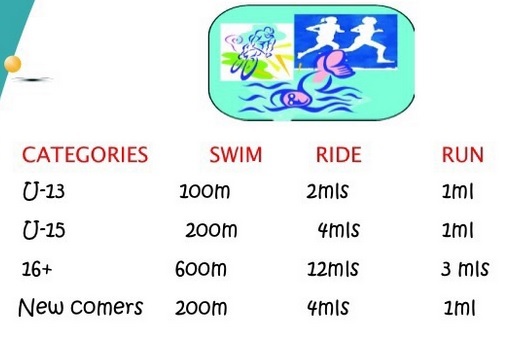 The San Pedro Sports Committee invites all amateur athletes to participate in a triathlon competition (swim, bike and run) on Sunday, June 28th. The triathlon will coincided with the Dia de San Pedro festivities and will be held at Boca Del Rio Park starting at 9AM. The competition will be divided into three categories: 13 years and under, 15 years and under, 16 and over, and new comers. Everyone must arrive at least 20 minutes prior to the start of the race to register. Cash prizes and trophies will be awarded to top finishers. For more information contact Councilor Hector “Tito Alamilla at 623-0772 or Kent “Bob” Gabourel 604-9013. Everyone is invited to come out and take the challenge!